Gain expertise in the application of non-invasive and painless Microdermabrasion tools by launching micronized crystals gently across the skin's surface to aid in the elimination of dead skin cells. Microdermabrasion has evolved from stones and shells to crystals, particle-free diamond tips and particle-free bristle tips. The popular, preferred method of mechanical exfoliation is particle-free over crystals. Once the desired amount of exfoliation has been reached, some Microdermabrasion units will then infuse a skin specific solution into the skin. By infusing the solution, it will penetrate deeper than if applied manually for two reasons; the first is because the dead skin has been removed, so product penetration increases, the second is because the vacuum pressure works in reverse to push it in deeper. 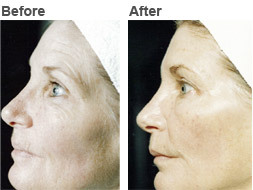 This unique approach prepares for skin permeation and for a softer, firmer and more youthful skin appearance. How to make the right choice for your practice, utilization of corundum crystal, diamond tip or non crystals.